Southwest Plating specializes in high-production decorative duplex nickel/chrome of aftermarket grille guards for the automobile/truck market. Known for quality decorative plating, Southwest Plating has provided high-quality decorative chrome plating of headache racks. Southwest Plating has efficient processes for mass production of decorative duplex nickel/chrome of aftermarket bumpers for cars and trucks. We offer decorative metal plating to OEM manufacturers of custom truck parts, including tailgates, ladder racks, and other accessories. Southwest Plating, Inc. specializes in high production decorative duplex nickel/chrome plating for the manufacturers of aftermarket bumpers and grille guards for the automobile/truck market. For over 30 years manufacturers have relied on Southwest Plating for exceptional quality and customer service. 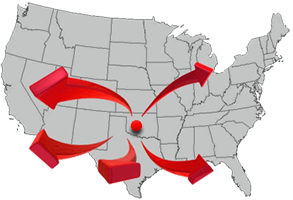 We offer a unique service that tailors for high volume production in a variety of coatings, and our centrally located facility allows us to package and ship anywhere in the USA. 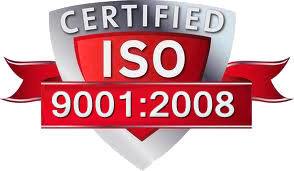 Since 2009, Southwest Plating has been certified with ISO 9001:2008 Quality Managment Approval. The ISO standard ensures that we fulfill the needs of our customers and other stakeholders while meeting statutory and regulatory requirements related to our products. Our quality policy is well documented and supported by all team members in our organization. All employees are committed to fulfilling customer expectations. Our recurring quality inspections and companywide audits ensure that Southwest Plating continues to thrive and provide the best products and service possible.